Bursitis is the Inflammation of the fluid-filled sac (bursa) that lies between a tendon and skin, or between a tendon and bone. This condition may be acute or chronic. 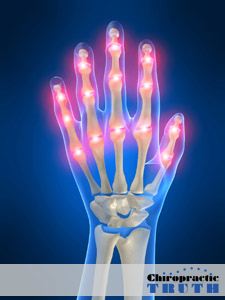 Bursae are fluid-filled cavities near joints where tendons or muscles pass over bony projections. They assist movement and reduce friction between moving parts. Bursitis can be caused by chronic overuse, trauma, rheumatoid arthritis, gout, or infection. Sometimes the cause cannot be determined. Bursitis commonly occurs in the shoulder, knee, elbow, and hip. Other areas that may be affected include the Achilles tendon and the foot. Isn’t it time you tried chiropractic care for you and your family? If you are experiencing any of the common symptoms below, please call our office now to schedule an appointment. Common symptoms include joint pain, joint tenderness, swelling, warmth over the affected joint, and limited range of motion. 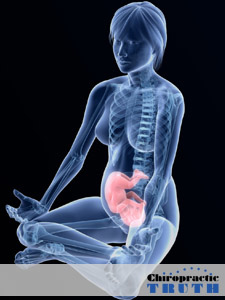 Improve your pregnancy with chiropractic care. Scoliosis is detected by uneven shoulder heights, loss of structural balance, or a change in posture. 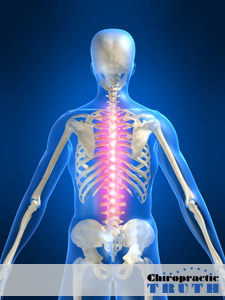 If a spinal curve exists, this can result in pressure on the joints, discs, and nerves. 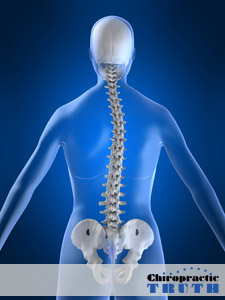 Because spinal bones can continue to grow well into the early 20’s, if left uncorrected Scoliosis often worsens. 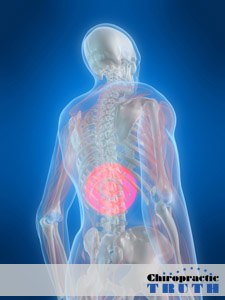 Early detection and chiropractic correction is important for optimum results. Isn’t it time you tried chiropractic care for you and your family? If you are experiencing any of the common symptoms below, please call our office now to schedule an appointment. 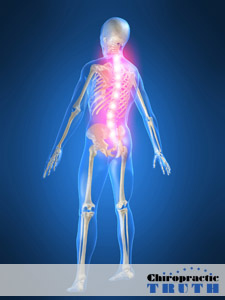 A Subluxation is when one or more vertebrae lose their normal position, they interfere with the nerves they were meant to protect. This interference can cause pressure or irritation on the spinal cord and/or on the nerve roots as they pass out of the spinal column. 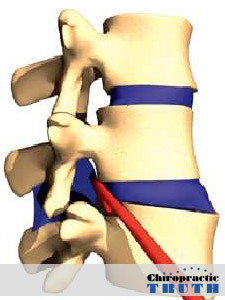 This misalignment of the vertebrae and pinching of the nerves is called a subluxation and is the most common aspect of what doctors call the vertebral subluxation complex. Headache, pain at the base of the skull, pain or numbness of the face, stiffness or loss of normal movement of the neck, neck pain, shoulder, arm and hand problems including pain, numbness and loss of strength and nerve related problems involving eyes, ears, nose and throat. Tension between the shoulders, mid-back pain, pain wrapping around rib cage, problems affecting the heart, lungs, stomach, gall bladder, and other digestive organs. Low back pain, pain in the legs, disc problems, hip pain, groin pain, lower abdominal pain, bladder and bowel problems, many different reproductive problems, and circulation problems in the lower body. 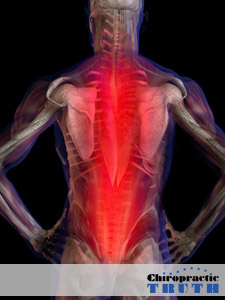 Pain at the base of the spine, bladder and bowel problems, hip pain, and sacroiliac pain. Isn’t it time you tried chiropractic care for you and your family? Tension headaches are a condition involving pain or discomfort in the head, scalp, or neck, usually associated with muscle tightness in these areas. Tension headaches are one of the most common forms of headache. 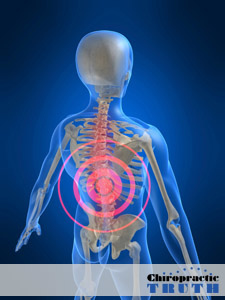 They can occur at any age, but are most common in adults and adolescents. If a headache occurs two or more times weekly for several months or longer, the condition is considered chronic. Tension headaches result from the contraction of neck and scalp muscles. One cause of this muscle contraction is a response to stress, depression or anxiety. Any activity that causes the head to be held in one position for a long time without moving can cause a headache. Such activities include typing or use of computers, fine work with the hands, and use of a microscope. Sleeping in a cold room or sleeping with the neck in an abnormal position can also trigger this type of headache. Other causes include spinal misalignment, eye strain, fatigue, alcohol use, excessive smoking, excessive caffeine use, sinus infection, nasal congestion, overexertion, colds, and influenza. Tension headaches are not associated with structural lesions in the brain. Isn’t it time you tried chiropractic care for you and your family? If you are experiencing any of the common symptoms below, please call our office now to schedule an appointment. Common symptoms of tension headaches include dull pain, pressure-like generalized pain, worse pain in the scalp, temples, or back of the neck, feels like a tight band or vise on the head, occurs as an isolated incident, occurs constantly, occurs daily, worsened or triggered by stress, fatigue, noise, or glares, causing sleep disturbances, and it can be one sided. Torticollis is a form of dystonia (prolonged muscle contractions) in which the neck muscles contract involuntarily causing the head to turn. Torticollis may occur without known cause (idiopathic), be genetic (inherited), or be acquired secondary to damage to the nervous system or muscles. It may develop in childhood or adulthood. Congenital torticollis (present at birth) may be caused by malpositioning of the head in the uterus, or be prenatal injury of the muscles or blood supply in the neck. Isn’t it time you tried chiropractic care for you and your family? If you are experiencing any of the common symptoms below, please call our office now to schedule an appointment. Common symptoms of torticollis include the enlargement of the neck muscles, asymmetry of an infants head from sleeping on the affected side, elevation of the shoulder on the affected side, stiffness of neck muscles, limited range of motion, headaches, neck pain, and head tremors. 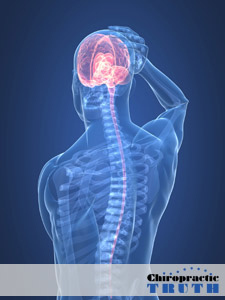 An injury to the soft tissues of the neck that occurs from a sudden jerking or “whipping” of the head. This type of motion strains the muscles and the ligaments of the neck beyond their normal range of motion. 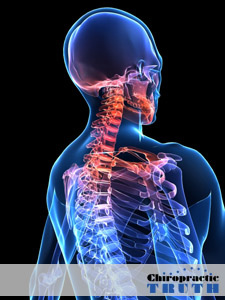 Whiplash often occurs when a vehicle stops suddenly in a car crash or is struck from behind. Either of these two actions causes things in the vehicle to be thrown forward – including passengers. A seat belt will keep a person’s body from being thrown forward, but the head may snap forward, then backward, causing a whiplash injury in the neck. In addition to car accidents, whiplash can be caused by roller coasters and other amusement park rides, sports injuries, or being punched or shaken. (Whiplash is one of the hallmarks of shaken baby syndrome). Isn’t it time you tried chiropractic care for you and your family? If you are experiencing any of the common symptoms below, please call our office now to schedule an appointment. 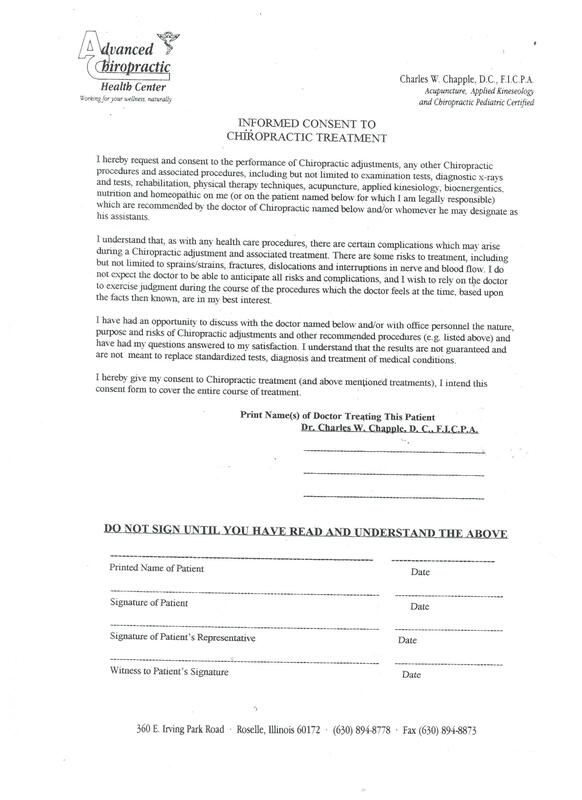 Common symptoms of whiplash include blurred vision, difficulty swallowing, irritability, fatigue, dizziness, pain between the shoulder blades, pain in the arms or legs, pain in the feet and hands, nausea, ringing of the ears, and vertigo. 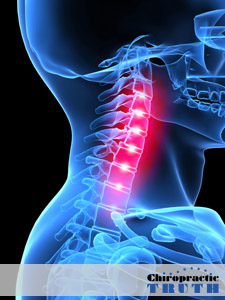 **OFTEN, YOU FEEL PAIN AND STIFFNESS IN YOUR NECK FOR THE FIRST FEW DAYS FOLLOWING A WHIPLASH INJURY. THEN, YOU FEEL BETTER, BUT THE PAIN AND STIFFNESS MAY COME BACK SEVERAL DAYS LATER. 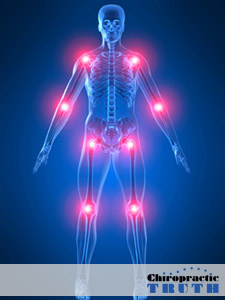 THE DISCOMFORT YOU FEEL MAY INVOLVE SURROUNDING MUSCLE GROUPS IN YOUR HEAD, CHEST, SHOULDERS, AND ARMS.